It's a common dilemma. You've gotten together the amount of money you need to send a bouquet of flowers to your loved one, but once you see the high delivery and wire fee, your excitement plummets. Canceling your plans may seem like the only option. However, there's a better one. You can send flowers without paying a delivery or wire fee. Just get the money together for the bouquet. The rest will be taken care of. 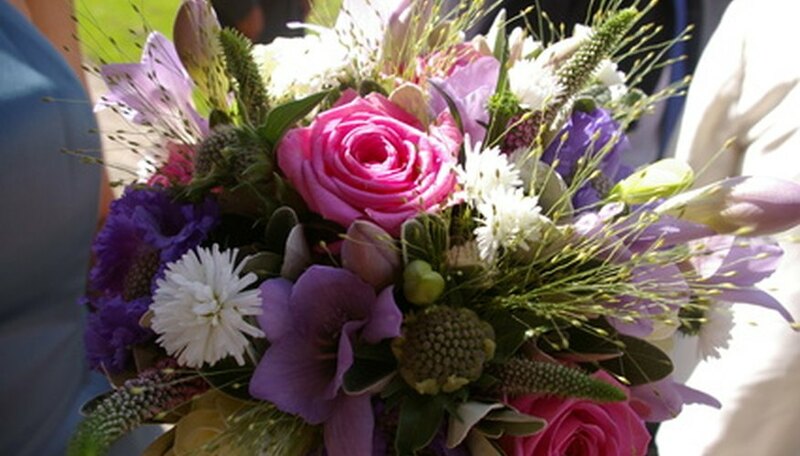 Contact a florist in the location where you want the flowers sent. This will get rid of the wire fee. If you speak directly with the florist who will be delivering the flowers, you cut out the middle man (A wire fee is charged when a flower company, like one you might find online, has to contact another florist to send the flowers). Tell the florist the address where you want him to send the flowers. Find a no-delivery fee coupon. Search your local newspaper or circular to find coupons offering free delivery. You can also find coupons online just by Googling "free delivery flower coupons." Present the coupon to the florist in the area where you want to send the flowers to get rid of the delivery charge. Use an online flower company without hidden costs. There are many flower companies that will send flowers to anyone in the state without charging wire or delivery fees. Some companies don't even have to be in the state your sending the flowers to. Do an online search for flower companies without fees. (see Resources). Research each company, and look for details like "no hidden fees" because, some companies include a wire fee in their price, without calling it a wire fee.